Have you decided to make a boiler room? In this case, you need to familiarize yourself with the features of this building and methods of its construction. Requirements for the boiler room are determined depending on what type of fuel will be used and where it will be located. 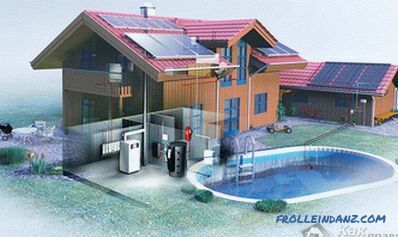 Freestanding - are separate buildings, connected to the house only by engineering communications. 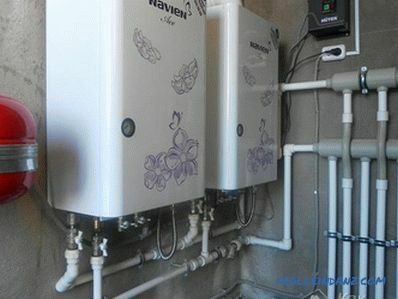 This is the best solution, because in this case you are not limited in choosing a heating boiler, the boiler room will not in any way disturb the peace of people living in the house. The attached boiler houses are separate buildings that are adjacent to the house by a single wall. 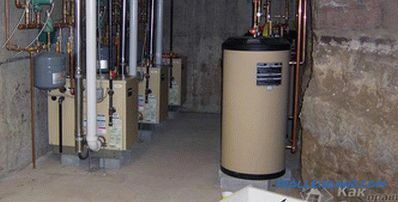 Built-in boiler rooms are always located in one of the rooms of the house. In accordance with safety regulations, not every heating unit can be installed in a house. In one boiler room you can use a maximum of two boilers. 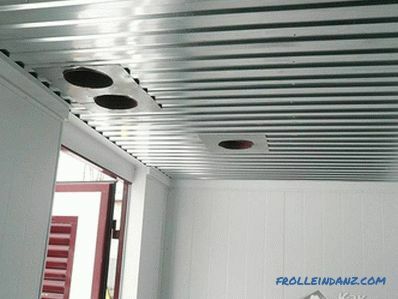 Supply and exhaust ventilation, and accordingly the chimney, must comply with the power and design of the installed unit for heating the living space. No combustible materials or substances of any kind can be stored in the boiler room! Walls can be built of concrete or brick. The floor can be covered with a metal sheet, it can also be laid stoneware tiles, or simply leave the concrete. 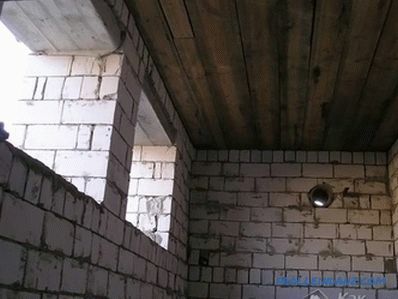 As for the walls, they can be revetted with non-combustible mineral plaster or tile. The door of the boiler room must have fireproofing properties. There should always be enough space around the boiler for ease of operation and maintenance. 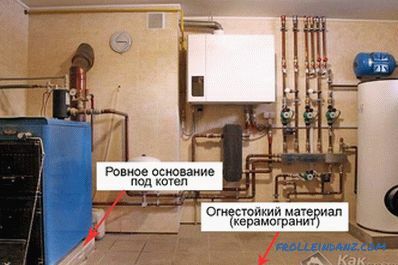 The size of the room for the boiler is determined in the technical documentation. In this article, you will learn how to build a universal, detached boiler house. 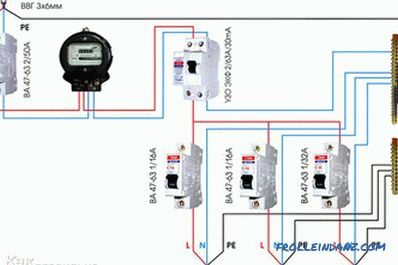 First you need to take care of the availability house ground loop. To do this, drive into the ground 4 metal pipes having a diameter of 57 mm along the perimeter. The depth of driving is 3 m, after that the pipes need to be interconnected, this can be done by welding. 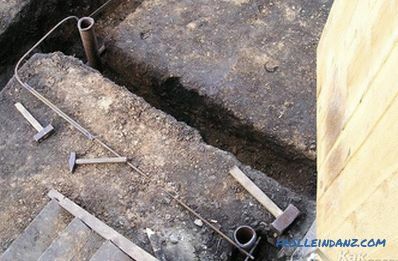 Make a connection to the grounding of the house loop by connecting it with steel bars having a diameter of 12 mm. 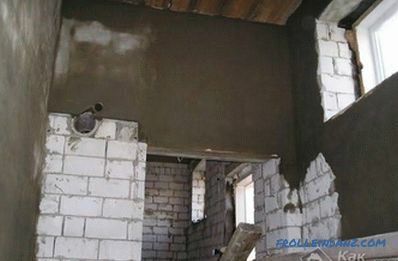 After the strip foundation is ready, you can proceed to the construction of load-bearing walls, while it is important to provide a hole in the lower or upper part of the wall for ventilation. The boiler room must have its own walls, which are a separate structure not connected to the house. In order to prevent any missteps, buy equipment for heating the house, in the passport of which the basic requirements for construction are stated. The safety of people's lives depends on how clearly the boiler room corresponds requirements! Now you should install the gas pipeline section before it is lowered. It is worth noting that the descent itself is done only by experts of the relevant organization. However, provide a hole in advance during the construction of the boiler room. If the room should be large, then it is better to make two small windows. This will provide an opportunity to ventilate the room, if necessary. In addition, a more uniform natural lighting of the boiler room is organized in this way. When constructing a boiler room, it is extremely important to provide ventilation equipment. To do this, make a hole in the upper part of the bearing wall. It is worth noting that ventilation can be not only the top, but also the bottom. The most effective way to make a combined ventilation system. 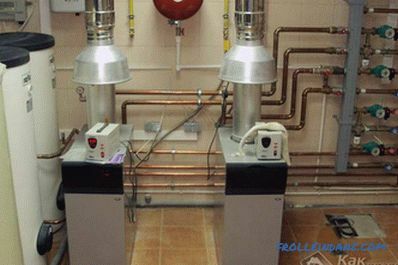 A forced ventilation system must not be installed in a boiler room with a gas boiler. The minimum width of the entrance door is also important; it should not be narrower than 80 cm. In the event of an accident, the overlap will serve as a valve that will protect the structure from an explosion, which means that it should be light. You can not think that it will be cold. 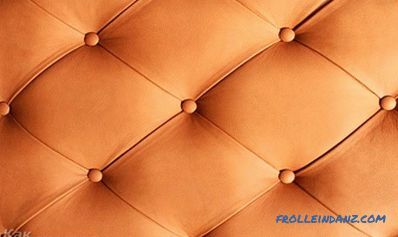 It will be necessary to attach a ceiling ceiling to the lags. 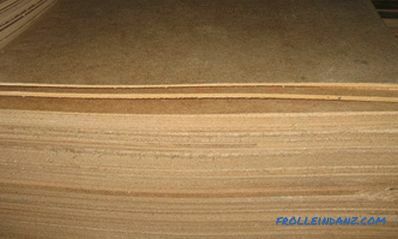 Make it from boards, 30 mm thick. After that, it is necessary to lay bituminized paper on which a layer of sawdust should be poured. Inside the ceiling, trim with insulating material having a thickness of 4 mm. And then install the crate. Boards and lathing must be necessarily processed with fire-and-bio-protective means. After the construction of the boiler house itself has been completed, you need to arrange, after finishing work. Plaster all walls and level the floor. 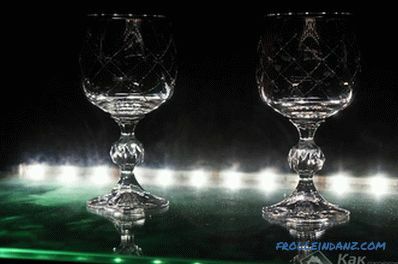 The interior should be of high quality. Walls. Along the perimeter, glue them with insulating materials. Install the bars for air gaps. On the bars in the future and will be fastened PVC panel. Paul. It can be left cement, but if you want to keep this room clean, it is better to put ceramic granite tiles on the floor. For arranging the smooth operation of the double-circuit boiler, a place should be provided for the supply to the boiler of cold water and, accordingly, the output from him to the house of hot water. The electric boiler is the safest unit for heating the house. The coolant in this boiler does not emit products of combustion, and, therefore, ventilation for its arrangement is not needed. 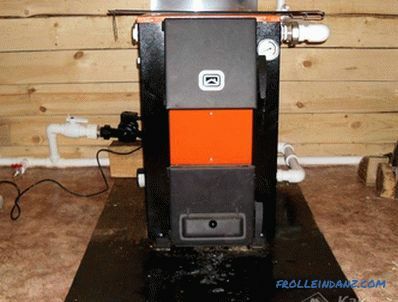 Electric boilers are easy to install, easy to maintain and maintain. The efficiency of electric boilers in many cases reaches 99%. Units work almost silently. The disadvantage of the boiler - the complete dependence on electricity. 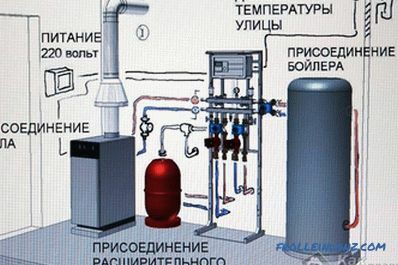 In addition, for a house with an area of ​​200 m 2 , a 20 kW boiler is required. Explosive Hazardous boilers are minimized, so there are few requirements for the premises intended for their installation. Fuel to the boiler needs to be reloaded regularly, which means that access to it must always be free. The distance between the wall and the unit must be at least 10 cm. A steel sheet is laid on the floor in front of the firebox. The floor, as well as the walls, must be finished with non-combustible materials. The window for a boiler room with a solid fuel boiler is calculated in accordance with the following formula: 8 cm 2 of the window area is required for 1 kW of boiler power. As for the chimney, you must ensure that it is cleaned and checked special holes. The chimney shaft must have a minimum of knees and the same section in length. It is important to plaster the surface of the chimney from the inside or insert an asbestos-cement pipe into the shaft. 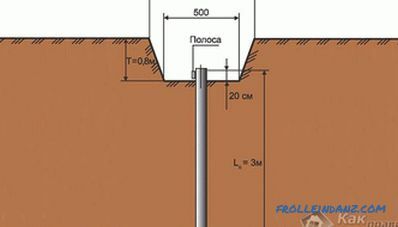 The area of ​​the boiler room must be at least 6 m 2 , while its volume cannot be less than 15 m 3 . Mandatory natural ventilation should be installed in the boiler room. 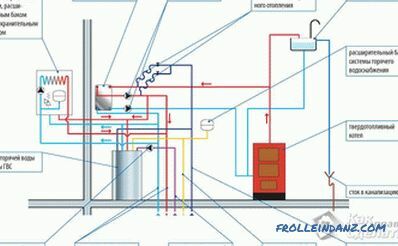 The height in the gas boiler room must be at least 2.5 m.
The window must have an area of ​​at least 0.5 m 2 . For emergency drains and condensate collection you need to bring the boiler room to the sewage system. The chimney should be above the ridge of the roof. The chimney should be equipped with additional channels for cleaning. 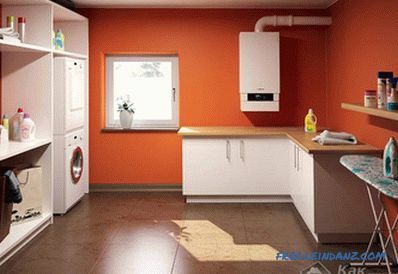 It is important to install a gas boiler so that there is free space around it for convenient operation. Now you know how to make a boiler room in the house. It is very important to comply with all requirements. In this case, the units will work properly, not posing a danger to the household.